Your very own desert oasis! There is so much detail & love in this home. It offers you 3 large bedrooms, 2 baths, over 1800 square feet, block construction, tiled roof, formal living & dining areas, spacious family room w/fireplace, all tiled flooring, vaulted ceilings, inside laundry room, breakfast bar, granite counter tops, gas appliances, water softener, custom paint through out the home & split floor plan. Outside you can enjoy the covered patio, entertaining areas with fire pit & fireplace w/sitting area, 3 car garage with RV gate & parking. 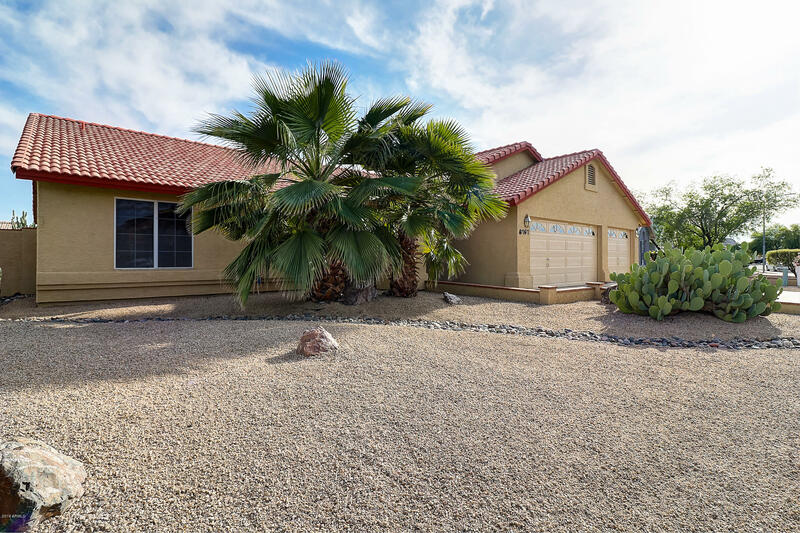 All this and located in a golf course community near Westgate entertainment district, Cardinals Stadium, Grand canal linear park, Tanger outlets, 2 hospitals, schools, library, easy access to freeways & NO HOA! Move in ready!